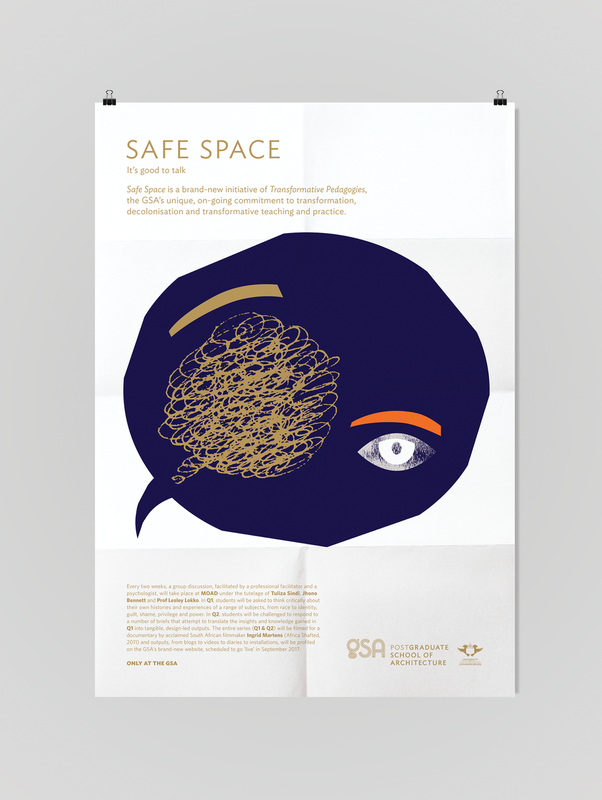 Safe Space - It’s Good to Talk, was launched in 2017 as one of the GSA’s Transformative Pedagogies. The series comprised of group discussion, lead by a professional facilitator and a psychologist. 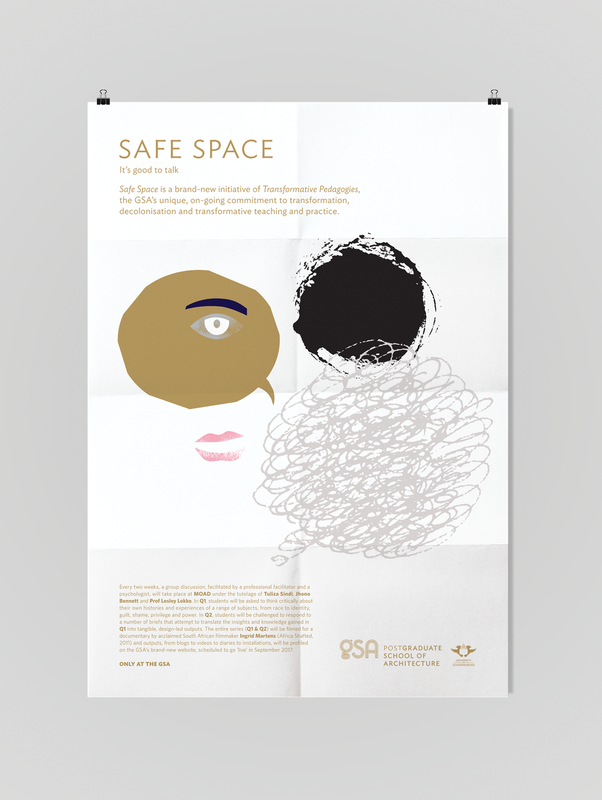 Students were asked to think critically about their own histories and experiences as it relates to a range of subjects, including race and identity, guilt, shame, privilege and power. The series was filmed for a documentary by acclaimed South African filmmaker Ingrid Martens (Africa Shafted, 2011) which premiered at the GSA’s end-year Summer Show. “Mind Me” was the second concept which was not implemented (see previous post) and took a more playful approach.